Under the Radar is here! I’m so happy to bring you the last book in the High Stakes series! If you’re interested in winning the first book in the series, Against the Wall, then head over to Just Romantic Suspense today (May 30) and/or tomorrow! Okay, you know how life can really throw you curve balls? I got a big one yesterday when Roseanne was cancelled. Many of you know that I worked on the original thirty years ago as a dialogue coach and also worked on the reboot last year. I had already received the phone call that I was coming back for the new season and then bam. We got cancelled. By now, everyone knows why. There’s not much to rehash that hasn’t already been said. I will say this though… Words matter. Words have consequences. Words can comfort, they can uplift, they can tear down. They can make you smile and make you cry. They make you feel. What you put out into the world is generally what you will get back. Sometimes it’s beautiful and sometimes it’s the exact opposite. My question is this: What kind of person do you want to be? Do you want to be the one uplifting or tearing down? Do you want to be a divider or the glue that brings people together? Don’t get me wrong… I’ve been angry plenty of times and I’ve lashed out, given people exactly what they’ve dished out. The cycle just continues. But just like hate begets hate, love begets love. I’m not saying you shouldn’t stand for what you believe or fight for what you believe. I’m saying there’s a way to do it that doesn’t destroy. Look, I could write for days about the world and what makes it go ’round. Ultimately, my point is…why not be the person that makes people smile instead of cry? Be the person that people look up to instead of sneer at. Be the person that makes you proud when you go to sleep at night. Be the glue, not the divider. Two brothers. Two best friends. One robbery gone wrong. Danny St. John was stuck in a dark place of guilt and regret after a personal tragedy. 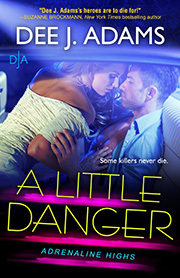 On the run from violent criminals, he is forced to spend time with the one woman who makes him feel too much. Victoria Lopez needs to protect her heart, but she also misses the guy Danny used to be and thinks she might be able to bring him back. 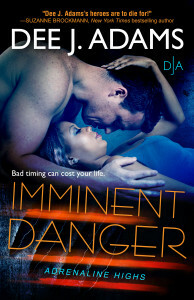 Now, evading gunmen together in Sequoia National Forest, Vic will risk everything to keep Danny safe. Eric St. John isn’t a big fan of his sister-in-law-to-be, Zoe Turner. Sure, she’s beautiful, but also bossy and brash. When Eric and Zoe are forced to rely on each other for survival, he sees a side to Zoe he never anticipated, a side he definitely likes. But as the two grow closer, so do the men hunting them down. Time nearly runs out as each couple must not only brave the perils of the wilderness and their growing feelings for each other, but also outwit their pursuers in a deadly game of cat and mouse.